Why my blog? Well, it means that someone was impressed enough with my blog to nominate it. Thank you J. I. Rogers! There are specific steps involved in the nomination process… Once the recipient has eleven inspirational bloggers total, they draft up eleven questions to ask everyone. Then they answer the eleven questions they’d been posed by the person who nominated them in the first place. Once that’s complete, they pass along the fun and notify their nominees – sort of like a chain-letter without the invariable negativity. Personally, I think it’s a great way to express appreciation for bloggers and the content they create. J. I. Rogers is the person behind my nomination – Thank you so much. I hope you continue to enjoy my postings. You can find her here on Facebook and Twitter. 1) What do you feel is the best blog post you’ve written to date and why? Killing our Darlings: Writers on Death. This article was fun because I could address an issue important to authors and consult with other interesting authors. 2) If you had to choose one of your current projects to tell a group of strangers about, what would it be? 3) Who in your life (living or dead) provided you with the best inspiration? My spouse. C. Gibson has allowed me the space to create fiction and supports me and gives suggestions for my writing and editing. Sharing the love of a special person is the greatest inspiration in life. 4) What book would you recommend that everyone read? The Hound of the Baskervilles by Conan Doyle. This book shows so many facets of a cultured class society that is unstable and dangerous. The story has threat, thrills, danger, and manners. There is risk of death and terror, while being almost cozy in outcome. Sherlock Holmes is not a simple tool for law-and-order, but also makes his own judgments about which people are justified in their actions. This read makes for a well rounded mystery that is rooted in our social order and relations. 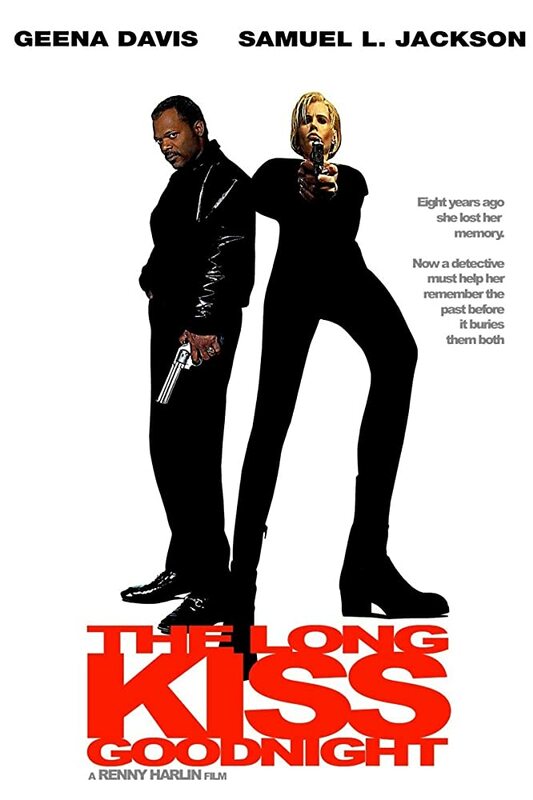 The Long Kiss Goodnight (1996) directed by Renny Harlin and starring Geena Davis and Samuel L. Jackson. This is a top form guilty pleasure action move. How can I not appreciate Geena Davis as a cold-hearted assassin who has to be the mama lion and protect her daughter. 6) Hypothetical: You’re a well-paid guinea-pig being abandoned on a remote tropical island for an extended period (several years). You have ample food supplies, shelter (even indoor plumbing), electricity, and a decent computer… but the internet is nonexistent, and you will have no human contact. One of the scientists takes pity on you and will leave you an external drive with movies, TV/Netflix series, games, and books on it, but the catch is it can only be one genre. Which genre would you choose? This one is easy for me. I am a huge fan of Science Fiction. I have been reading Sci-Fi books since elementary school. I’m probably edging up to 10,000 books or shorts in my life. So Science Fiction would be my choice, hopefully mostly space opera, like Firefly type stories. This also should contribute to feeding, by accident, into my second love, science theory and tools. I have been known to read maths books or computer science books for pleasure. 7) Cat, dog, or other? Dog, now. I had two cats in the past. We live with our dog, Cantinflas, who rules us. 8) When you’re being creative, do you prefer quiet or some form of sound (music, audiobook…) in the background? I would say 60/40. I mostly write with with silence when I can. But sometimes my head is in a special writing state and I like instrumental or folksy music in the background. I like Regina Spektor and Israel Kamakawiwoʻole. 9) What can move you more, images or words? Like most people, for me, a picture is worth a thousand words. But, I am willing to read thousands of words. So, both inspire me. 10) If you could be assured of accomplishing one thing with your life, what would be your magnum opus? My most successful review of a book was my Goodreads review of Science and Sanity by Alfred Korzybski. I would like to write a sequel/followup to Korzybski’s book. The main point I took from the book is that the words we use don’t represent the world accurately. I want to carry the reasoning forward and advance the argument. Green. It represent nature, plants, food, and magic of life. Nominate 11 other bloggers. I tried to choose from the few blogs I read and arrived at the following. 1. What do you feel is the best blog post you’ve written to date and why? 2. If you had to choose one of your current projects to tell a group of strangers about, what would it be? 3. Name is an individual that has inspired you? 4. Name a book, you world recommend others read — that you didn’t write? 6. Hypothetical: If you were abandoned on a deserted island, what genre of books would you ask to be left with you. 7. Cat, dog, or other? 8. How easy is it for you to get into creative mode. Do you need to do something special to arrive at that? 9. Where do you get ideas? 10. Which creative endeavor or project would you like to be most remembered for? 11. Is there a city or place you never tire of? Thanks for the nomination. Just back from a long trip, so going to bookmark this to do in the future when I have a little time. Congrats on the award. 🙂 It’s a pleasure to meet another Sci-Fi fan who likes green. Lol. Happy reading and writing. Thanks for the nomination too. I’m working on it and post it soon.